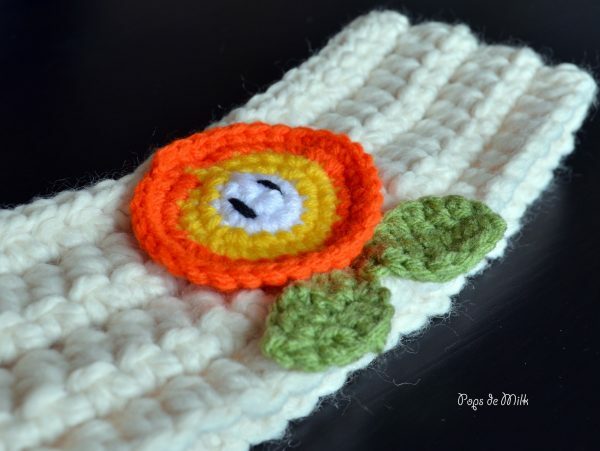 So I know it’s a little late in the season to start making winter accessories – didn’t the groundhog say we’ve only got a few more weeks left of winter? 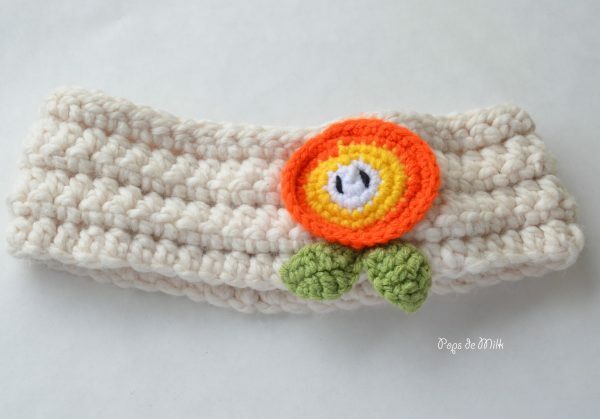 But I seem to have lost my headband and the only solution was to make another one. 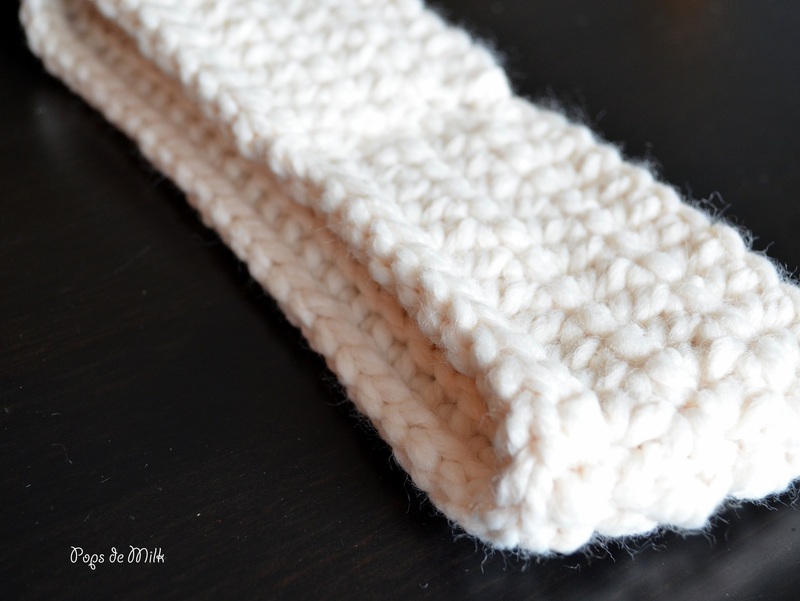 My original headband was knitted from a sort of chunky acrylic yarn. It was functional and did its job, but it was not very pretty. I had some really chunky yarn in my stash that I’d been meaning to use for a cowl or hat but never got around to it. I guess it takes a lost headband (and -15C weather) to muster the energy and motivation to get crafty. 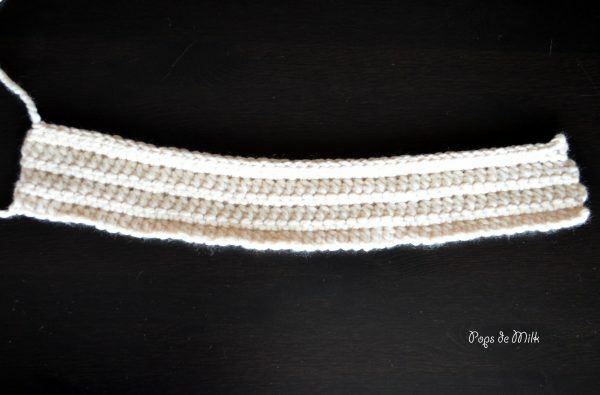 This time I’ve made a crochet headband that worked up very quickly. It’s simple and it fits perfectly. Once I was finished though I felt it was missing something. Maybe an appliqué flower? 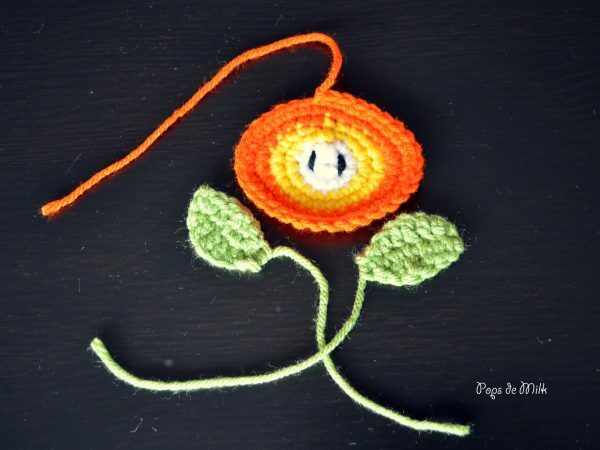 I could have gone the more traditional route in terms of flower patterns but of course, I went the geeky route and chose a fire flower from Super Mario Bros. For the flower I used this pattern here but only made one side (you’ll see what I mean if/when you get to the pattern). For the leaves I followed the instructions found here but made mine smaller by only making a chain of 8 (sc, hdc, dc, tr, dc, hdc, sc). And of course you can always choose whatever kind of appliqué you want, assuming you want one. Rnd 1: ch 50, hdc in 2nd ch from hook and in rest of ch (48 sts). Rnd 2: ch 1, turn, sc in flo of each st (48 sts). Rnd 3: ch 2, turn, hdc in each st (48 sts). Repeat rnds 2 and 3 three times or until you have desired width. Make sure it fits around your head – you may need to make adjustments to the foundation chain. Fasten off leaving a long tail for sewing. Choose which side you want the world to see and stitch the ends accordingly. 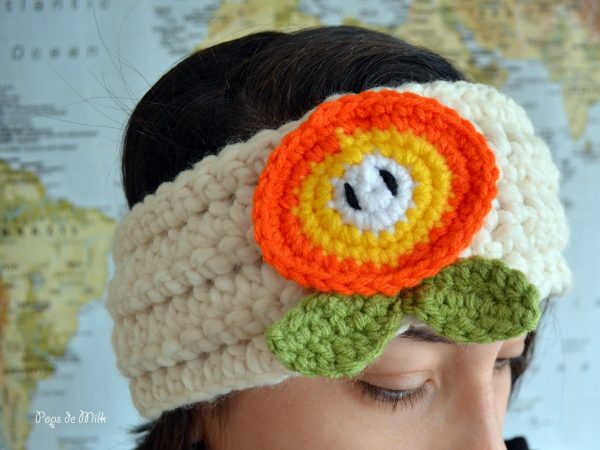 Attach appliqué and voilà, a brand new headband!